Virago Foundation’s staging of Wedlock of The Gods has been described as a ‘new and radical production’ of Zulu Sofola’s award-winning play. Back by popular demand, Wedlock of The Gods is a classic piece of African literature, which exposes and examines the controversial subject of arranged marriage, still a taboo in today’s 21st Century world, within the traditional context of pre-colonial Africa. At the heart of Sofola’s story is a passionate exploration of love, culture, gender politics, superstition and women’s rights, and the devastation that awaits those caught in the middle, when these different themes collide. 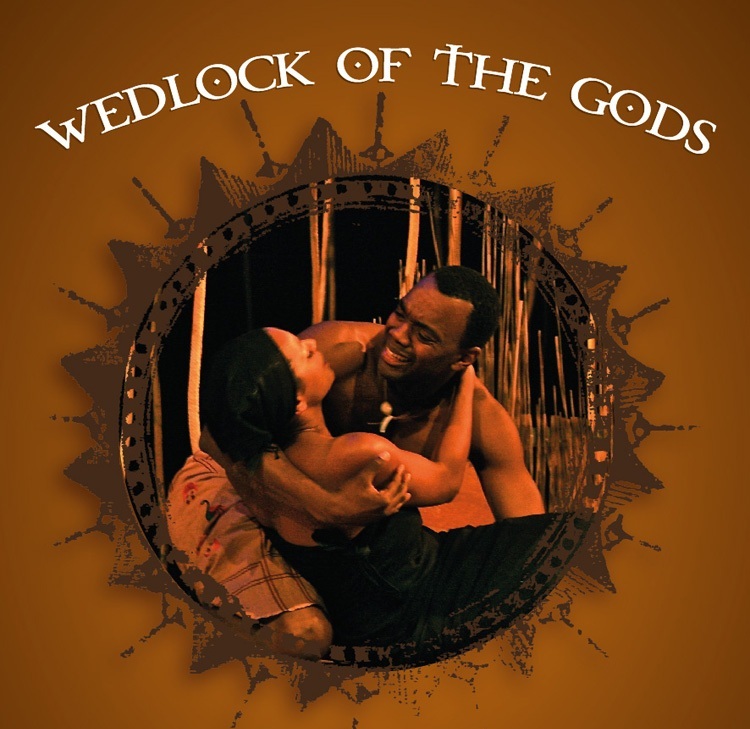 Wedlock of The Gods is a tragic drama that has its roots in the ritual of death and mourning as a young girl is given away, in marriage to a man, she has never met or interacted with, let alone love. However, circumstances mean her parents are in a desperate place, which calls for ‘desperate action.’ Hence, she serves as the sacrificial lamb to meet that ‘urgent need’ – the desire of her parents to save her brother’s life due to an illness. However, life and its cruel joke appears once again when the man she is betrothed to, dies unexpectedly while this young woman, who has been thrust into a situation beyond her control is expected to mourn her dead husband for three months, after which, she is required to marry her dead husband’s brother. Wedlock of The Gods, with its great tumultuous love has echoes of Troilus and Cressida, Helen and Paris of Troy and Romeo and Juliet. Needless to say that she is baffled at this development and rebels against an age old custom and tradition. At the same time, she is holding on to the man she knows and loves, from whom, she was wrenched and marched into a marriage of convenience but going back to him carries dire consequences. How will they deal with this backlash that stands to rip through their community without offending the gods or the customs of the land anymore than they have? Will their love stand the test of time? These and many more are the questions, Wale Ojo, director, addresses through his interpretation of the play. Zulu Sofola is one of Africa’s foremost women writers, renowned for giving a voice to the voiceless through poignant characters and the empowerment of women at grassroots levels. Virago Foundation: Virgo Foundation aims to promote African arts and culture, its vast history and heritage, to a public hungry for the true knowledge of African affairs. This entry was posted on Monday, May 23rd, 2011 at 4:31 am	and is filed under Africa, Art and Culture, Nigeria, Theatre Interviews. You can follow any responses to this entry through the RSS 2.0 feed. You can leave a response, or trackback from your own site.